Welcome to Enck's Automotive Repair, Inc. · Enck's Auto Repair, Inc. Welcome to Enck’s Automotive Repair, Inc.
Enck’s Auto Repair is a full-service auto repair facility located in Pahrump, Nevada. When you are looking for a locall-owned nearby auto repair shop, look no further than Enck’s Auto Repair! We consider customer service number one. We are family owned and operated and have three shops in the family; one in Pahrump NV, one in Washington State and the other in the state of Pennsylvania. We’ve been serving Pahrump since 1996. 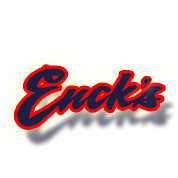 Enck’s Auto Repair — (775) 727-8221 — is located at 1820 W. Mesquite Ave. Pahrump, NV. We service imports, diesels, cars, trucks of all sizes, motorcycles, and motorhomes. If it has an engine and is in need of repair, contact us today. We are open from 8 am to 6 pm Monday – Thursday, and 8am to 5pm on Friday, closed Saturday & Sunday.